48. Online Collaboration and Management Tools (Part 2) - KJ Kuchling Consulting Ltd. This blog is the Part 2 continuation of a prior post regarding collaboration software tools that mining teams should consider. Here are a few more ideas I’d like to share, having found that these are great to have in your toolbox. G-Suite: is the family of Google Drive, Docs, Sheets, and Slides online services. Group collaboration can be frustrating using spreadsheets or text documents. We typically end up with different versions of the same document floating around. No one is sure whether they are editing the most recent version or which version they should be editing. With G-Suite (Google Sheets and Google Docs) you can create online spreadsheets and documents and allow multiple team members to review and edit them in real-time online at the same time. Writing reports gets simpler since there is only one working version of the document. A “track changes” option is there (called “Suggesting”) and everyone can see the edits as they are being made. No more asking “who has the most current version?” This type of collaborative editing is also great for Design Criteria Documents that are regularly being updated by different team members. I have used both DropBox and Google Drive, but my preference is using Google Drive since it integrates well with G-Suite. 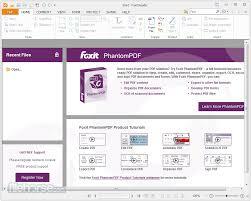 Foxit Reader: This is an alternative to Adobe Reader and can be used for reviewing PDF documents, whether text documents or drawings. Foxit provides great editing and commenting tools like highlighting text, adding comments, drawing lines and boxes, adding comment balloons, cut & pasting images into the PDF file, and then saving the commented version. For the most part I have stopped using Adobe Reader and have now switched over to Foxit due to commenting capability that it provides. Google Hangouts: This is an online and mobile application for team conference calling. It allows screen sharing, online group video conversations, sends out meeting reminders, and it will call participants at the require time. While Hangouts has many of the same features as Skype, it integrates with Google Calendar and Gmail. Most of the tech world uses Hangouts instead of Skype, but I’m not sure if the mining industry is ready to move away from Skype. An honorable mention for video-conferencing goes to Zoom. Some tech developers have been switching to Zoom, they feel it has more capabilities than Hangouts and better video resolution. I have never used it however. One of the standard marketing approaches used by tech software is to provide a fully functional product for free and then charge money to access the enhanced features. The goal is to get future users familiarized and trained on the product. They hope that they will get hooked on the product and decide to upgrade their plan for the full product suite. I’m not sure whether any geology or mining software is available for free in a fully functional format with optional upgrading. By functional, I don’t mean simply providing a “viewer” to view the work of others or a 30-day free trial period. I mean actual software that provides some useful capability for free in order to get you hooked. Please let us know if this software marketing approach exists in the mining industry. The bottom line is that there is a lot of interesting collaboration software out there. Its readily available, much of it is free, and can make managing your remote project teams easier. Just because the software is used by the tech industry and millennials, don’t assume it won’t have a benefit to the mining industry. The downside is the need to train and learn the new software, and the mining industry may not be so receptive to that. Posted in: Mine Studies, Tech. Tagged: Feasibility Study, Mine Engineering, PEA, Project Manager, Study Management.